Israel Adesanya and Kelvin Gastelum are fighting for the interim middleweight strap, which on paper, may be confusing to some fans, considering that both combatants are outranked by Yoel Romero (No. 1), Luke Rockhold (No. 2), and Ronaldo Souza (No. 3). But you don’t need to have the top ranking to compete for the title, despite what this guy says, which is why champion Robert Whittaker will already have his next opponent lined up by the time he’s done recovering from the “freak injury” suffered at UFC 234. That’s the same pay-per-view (PPV) event where Adesanya cemented his place as the best middleweight on the planet. 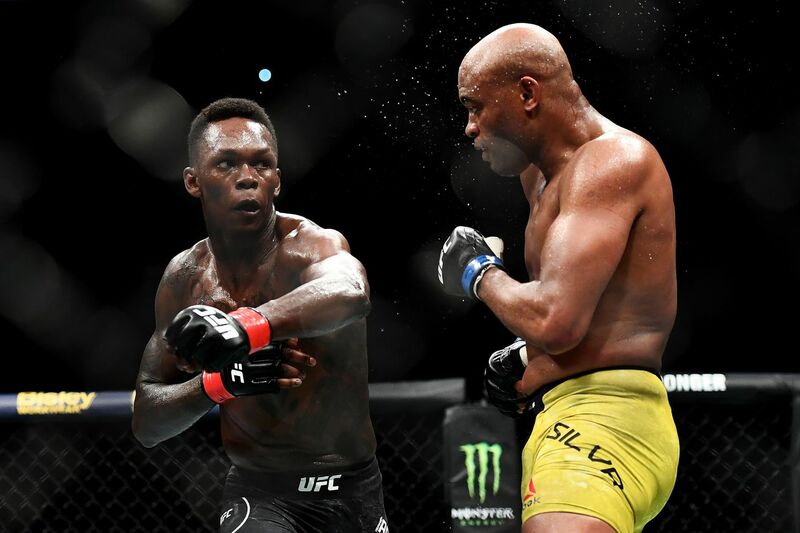 Sure, he’s yet to beat the champion — or anyone else in the Top 5, but he did capture a decision win over 43 year-old former great, Anderson Silva. Not surprisingly, Gastelum — cageside at UFC 234 after Whittaker went down in a heap — saw something much different and expects a vastly different outcome in the UFC 236 co-main event this Sat. night (April 13, 2019) in Atlanta. Gastelum has just six knockouts in 15 wins, as opposed to 13 of 16 for Adesanya. Their interim championship showdown is scheduled for five grueling rounds, which may become a factor as the fight wears on. If “The Last Stylebender” is truly without “pop,” can Gastelum mug-and-slug his way to a decision win? We’ll find out in two days.